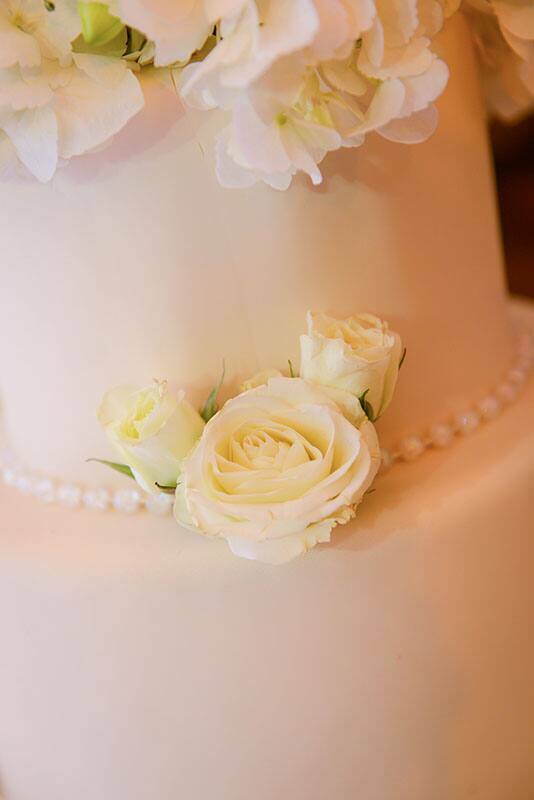 If you have a sweet tooth, you will love this week's Wedding Cake Wednesday! 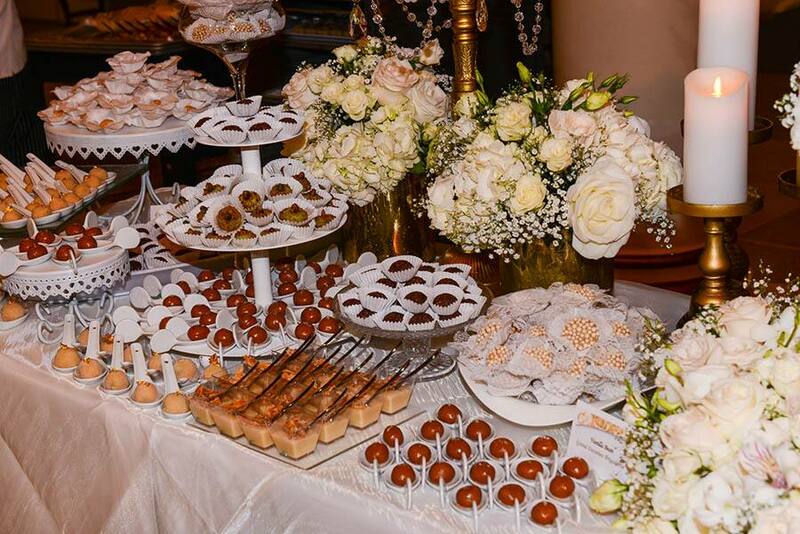 This Disney couple decided to not only to have an elegant cake for their Walt Disney World wedding but also chose to surround it with a dessert bar. 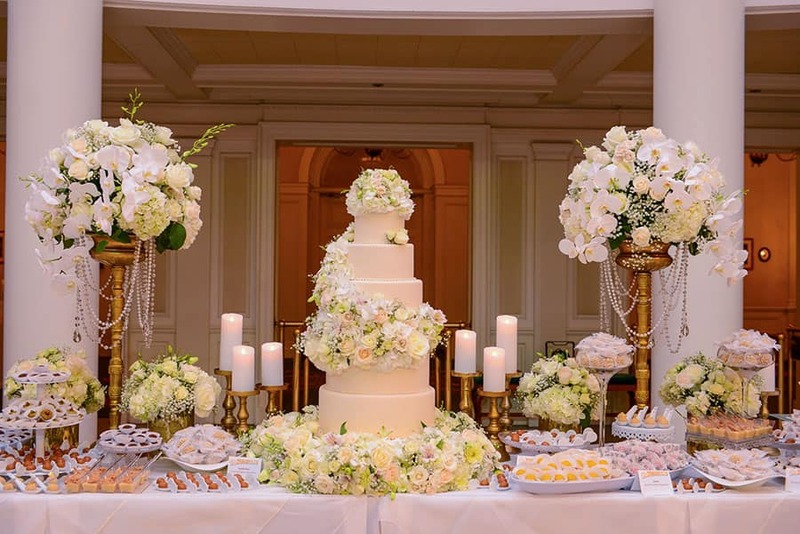 Acting as the centerpiece to their extravagant reception was a five-tier wedding cake with a cascade of fresh floral. 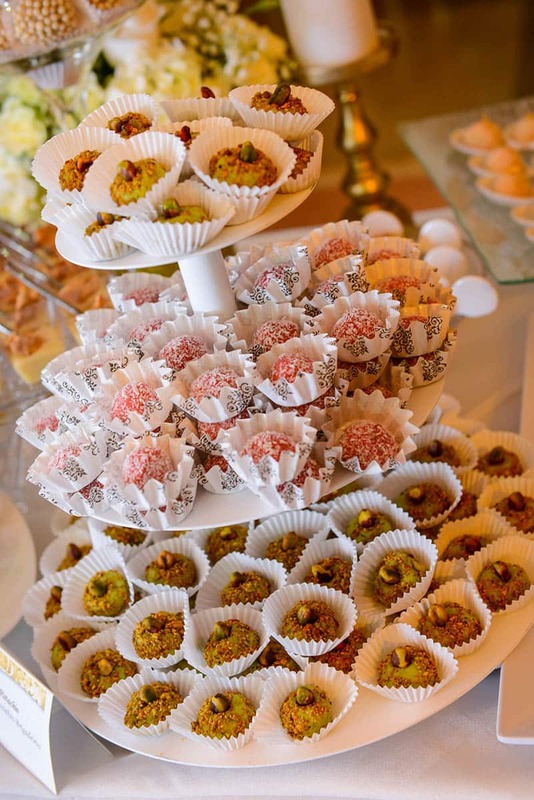 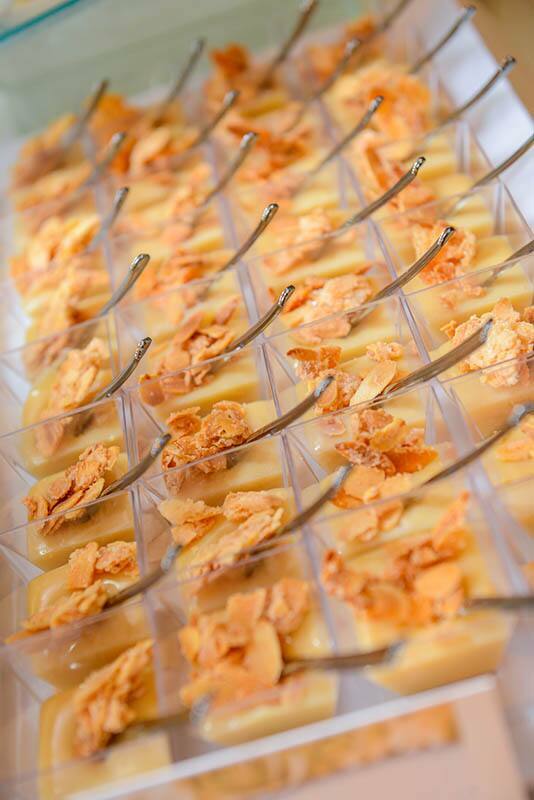 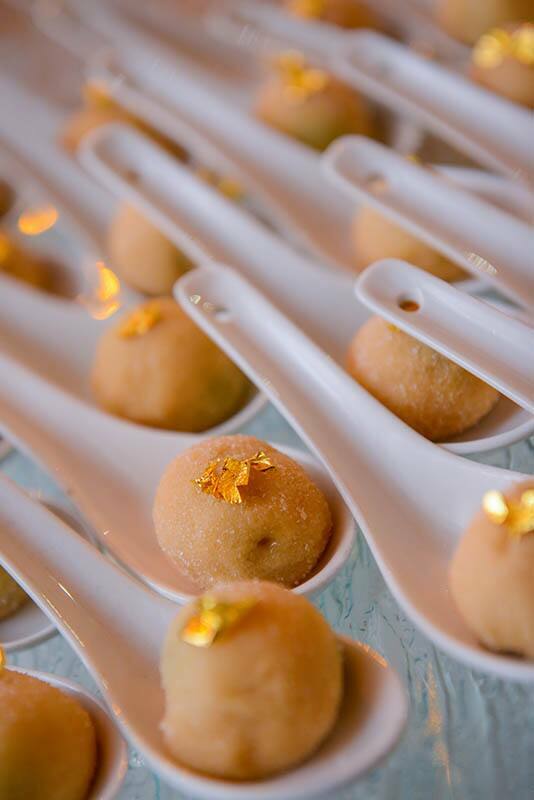 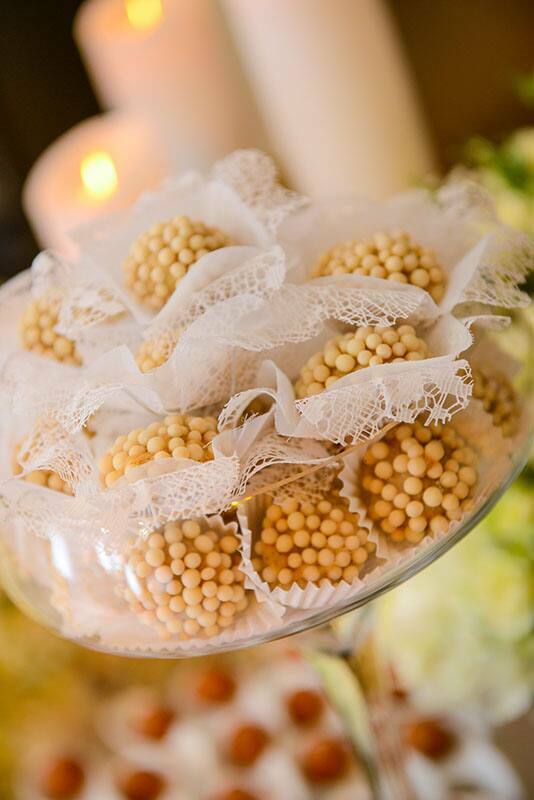 On either side, guests had the option to select from a variety of a skillfully crafted, Brazilian-inspired treats. 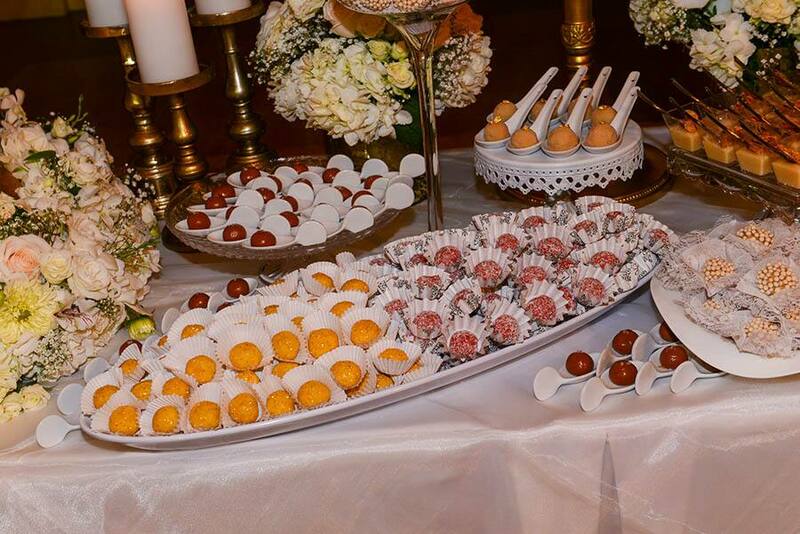 Why settle for just a cake when you can have an entire table of incredible sweets?